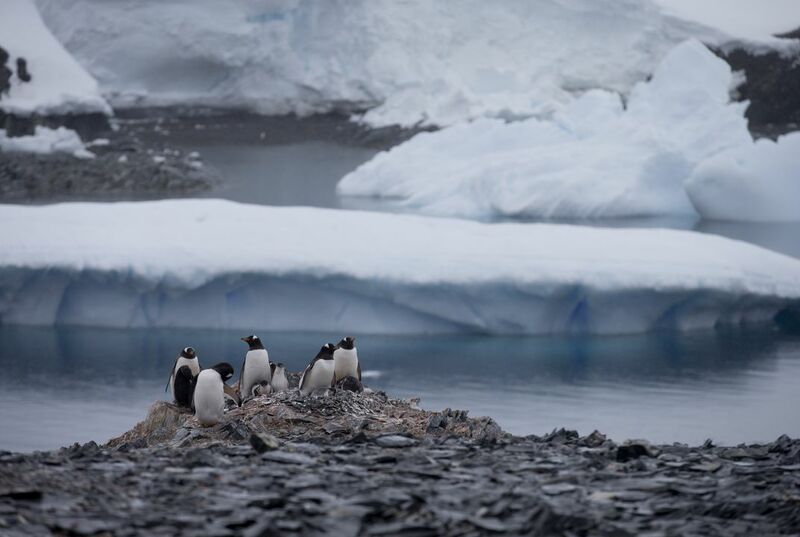 Warmer air, less frigid water and gravity may combine to make parts of Antarctica's western ice sheet melt faster than scientists have thought. Sea levels could rise. The increases could be much more than expected. And it all could happen by the end of the century. This is according to a study. The results of new physics-based computer simulations have been released. They forecast dramatic increases in melting. It could occur in the vulnerable western edge of Antarctica. The huge land mass at the southern end of the Earth is a continent. In a worst-case scenario, that could raise sea level in 2100. How much could it rise? The estimate is 18 to 34 inches. That is much more than an international panel of climate scientists has predicted. They made that prediction just three years ago. Last year, countries of the world pledged to control heat-trapping gases at moderate levels. But it still would mean three to 12 inches higher seas than have been forecast. This is according to a study. It was published March 30. It appeared in the journal Nature. "You're remapping the way the planet looks from space with those numbers," said Robert DeConto. He is a climate scientist. He is the lead author of the study. DeConto teaches at the University of Massachusetts. Melting in Antarctica is one of the biggest wild cards. No one is sure exactly what to expect. So today, scientists are trying to assess the effects of man-made climate change. The scientists were caught by surprise when the western portion of Antarctica started showing signs of rapid ice loss. This has been found in the last 10 years or so. How much melting will occur has brought differences of opinion. The United Nations' Intergovernmental Panel on Climate Change has not forecast much sea level rise from Antarctica. Its last report predicted just seven inches by 2100. For this century, the panel saw water expanding from heat, glacier melt and Greenland ice sheet loss as the biggest factors. But instead of 7 inches, DeConto's simulations forecast a much higher sea level rise. It would come from Antarctica's melt alone. The increase could be 2 to 3 feet. That is the worst-case scenario. The estimate is 10 to 19 inches if greenhouse gas emissions are moderately controlled. And if the world cracks down more dramatically on heat-trapping gases, Antarctica would essentially not add anything to sea level rise. This is according to the study. Other studies have looked at the effect of warming from water below ice sheets. And, from the air that melts from above. But DeConto includes the effect of pooling water and giant ice cliffs. Those ice cliffs can be dozens and even hundreds of feet high. They can collapse from the sheer weight of ice. That hastens glacier and ice sheet retreat, DeConto said. Ted Scambos at the University of Colorado wasn't part of the new study. But he said it was plausible. He said the study used "a few simple yet under-appreciated factors regarding ice retreat." Chris Field is a climate scientist at the Carnegie Institute. Field noted that the study drives home the difference the world can make by controlling its greenhouse gas emissions. It's the difference between rising seas that can be managed and conditions that are "dangerously risky," he said. Its melting really fast and a lot is melting too. i hope something changes. In this section it was very detail it explain how the increases of how the fast the ice is melting. In my own thought the animals well have no home and they will have a big chance of die with food. The climax would be destroyed. Antarctica is one of the biggest wildcards because no one really know whats going to happen.the ocean could overflow, but that's just a theory if course. I wonder what can we do to help the animals out and save them from the danger. 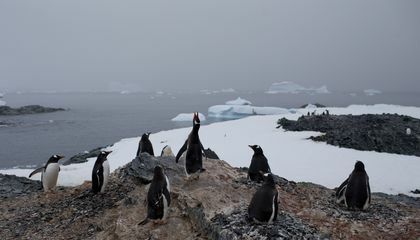 Wow I Didnt Know That Antartic Ice Was Melting!, I Wonder What Can We Do To Help The Animals Out And Save Them from The Danger, Will Any One Be There To Help Them? ?, I Wonder How much of melting will occur in antartic?? Wow! I really didn't expect that the ice in Antarctica would actually be melting a lot. I know that of course some pieces of ice were going to melt cause of the sun, but i had in mind that just a little bit. But know i know that more than 18 to 34 inches of ice is melting!!! That is insane! I think this is going to be about penguins in the Antarctic.I also think it might be how they live in the Antarctic.I think i might like it.